This will be about it in regards to the mass release. I had two volumes of Kenja translated which only required looking through... but it still took me three times longer than I expected it would. Damn, it was far worse than I expected it to be. What I learned from this? Stocking up too much and even simple looking-through and editing can turn into lots of work. I'm never doing it again. With that said, I'll be returning to normal activity from here on - releasing chapters one by one, probably. Oh, and I'll be going through all the edit suggestions you put out, too. Now. In regards to the upcoming release schedule. First, I'd like to take some break and get some work done. But I intend to make releases more regular, albeit smaller. Which was actually one of the main points behind me picking up Kenja - it has at least 4 times smaller chapters than regular novel, so I'm assuming it will be easier for me to drop its chapter releases. Also, I'm not forgetting OSO. I'm thinking of finishing Volume 11 the next time I have some more solid time off. In the meanwhile I'll be dropping Kenja chapters since they're short and something I can do within a few hours. Lastly: make sure to support the author and the publisher for bringing these books for us to read. Buy them. This entry was posted in Kenja on 2019.01.28 by krytyk. I was thinking of putting out some edit suggestions. Thing is, I don't want to post a massive block of text on your comments, without having at least consulted you first. I WAS WONDERING IF U OR ANYONE UR AFFILIATED WITH COULD TRANSLATE THIS NOVEL PLEASE. I'VE BEEN INTERESTED IN IT BUT NO ONES TRANSLATING THIS ANYMORE. I don't intend on picking up anything now, and I'm not affiliated with anyone. Also, don't caps. Thanks for those chapter Krykal :3 how many Volume you has in hand? And will you buy more to translate it? I love this series only after Tensei Shitara Slime Datta Ken. I have all 10 volumes on me. Wait,then it mean you will translate all 20 Vol? I commend you for these great gifts. But, I am truly blown away by what you managed to pull with getting this block of chapters out. If I was looking to support the author, Hirotsugu, where could we look to acquire copies of his work? Just type in "賢者の弟子を名乗る賢者 [insert #] (GCノベルズ)" into your respective Amazon search. I believe Amazon.jp still ships new books internationally as long as it is available in their warehouse if you want to buy directly from them instead of using a third-party reseller. There is also sellers such as CD Japan and YesAsia. 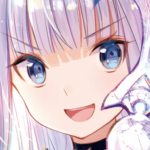 Ebooks of Kenja are also available from Bookwalker. Thanks for picking this up and spoiling us with all these incredibly well-written translations. I hope you enjoyed writing them as much as I enjoyed reading them. I also hope you choose to continue your translations at least until the middle volumes. The artwork for V5 (with the Fuzichoco fantasy version of a Trigun Sandsteamer on the cover) suggests some interesting worldbuilding and expansion of the scope of the story. And the artwork for V6 suggests significant character and relationship development for Mira. Glad to hear the OSO news. The marathon was neat, but I don't think you need to worry about doing those in the future. As long as there are regular updates, most won't complain. As for stocking up: wouldn't that be fine to an extent as long as you weren't trying to release them all within a very short period of time like you attempted here? I don't translate but I do write, and I've always thought releasing in smaller installments was easier. That relaxing feeling after I release a chapter is what I need more of in my life. Maybe it's just me, but if I hold on to too much I start editing more and more, even though it's already good. Plus readers get stupid impatient, though I don't think I've seen any comments like that on your website. Thank you very much for the giant mass release Krytyk!! !